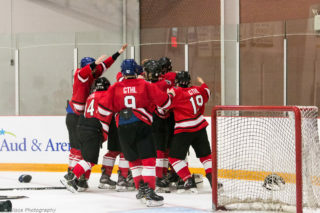 The Scotiabank GTHL Top Prospects Game is a showcase of the top players at the minor midget level and for several of its 247 alumni, it was the start of many big selections in their hockey careers. 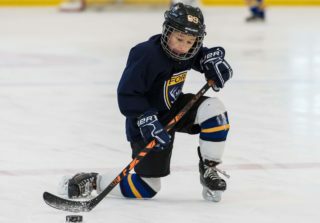 From drafts to training camps and all-star games to international events, “making the cut” is part of the elite hockey experience. One of those big selections will soon take some Top Prospects Game alumni to Helsinki, Finland to compete in one of the biggest international hockey tournaments in the world. 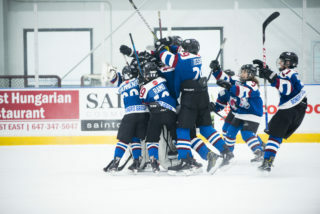 Eight former GTHL Top Prospects competitors were back in Toronto on the weekend in hopes of being named to Canada’s National Junior Team. The selection camp roster included forwards Mitch Marner, Mitchell Stephens, Dylan Strome, Michael Dal Colle and Spencer Watson and defencemen Roland McKeown, Jake Walman and Jakob Chychrun. 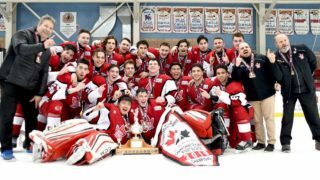 Many have already competed for Canada and have identified the GTHL Top Prospects Game as a launching point to future success. “It’s an exciting year and it’s your first experience at that type of thing,” said McKeown, a former Toronto Marlboros blueliner. McKeown, who will make the trip to Helsinki with Team Canada, stresses the balance between understanding the game’s importance and trusting the abilities that resulted in a selection in the first place. The Kingston Frontenacs captain won’t soon forget his experience at the event in 2011-12, one that produced 12 NHL draft picks – the most of any year. McKeown, a second-round selection (50th overall) by the Los Angeles Kings in 2014, played on Team Kypreos alongside current NHLers Sam Bennett and Robby Fabbri. 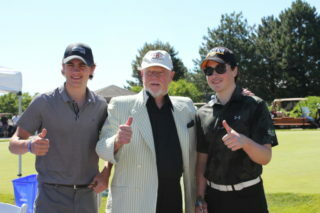 The team dropped a 9-2 decision to a Team Clark club led by Connor McDavid. McKeown – who is now a Carolina Hurricanes prospect – knows the selection process well, having played in the Ivan Hlinka Memorial and in the OHL’s Canada-Russia Super Series. 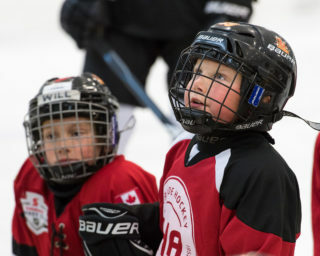 Playing hockey is what the GTHL’s top prospects do best. Watch them live at Scotiabank Pond on Tuesday, Dec. 15 at 7:30 p.m. to watch Canada’s next crop of talent at the 7th Annual GTHL Top Prospects Game Scotiabank Pond. Tickets are $8 in advance or $10 at the door.